Plant physiology is concerned with the life processes of plants, and from the beginning has been focused largely on the higher green terrestrial plants, the autotrophic (self-feeding) plants that feed us animals. In part, plant physiology has roots in agriculture. The central question of plant physiology is how do plants grow, develop, and reproduce? When primitive humans collected seeds and began raising food plants they must have noted that plants need sunlight, warmth and moist (but not wet) soil of good tilth, and that seeds from vigorous plants produced vigorous plants. They observed the beneficial effects of manuring (mentioned in the Bible; Luke 13:8). Centuries of agricultural practice produced improved varieties and cultural practices, and early studies of physiology drew on this basic knowledge of plant growth and gross anatomy. An early physiological question was where a plant gets the material with which it grows. In the early 1600s, Jan van Helmont, a Belgian physician, decided the source must be water alone. Van Helmont grew a willow seedling in 200 pounds of soil, and only added rainwater. A 164-pound tree was produced with only 57.1 grams (2 ounces) of soil lost. He knew of carbon dioxide but never dreamed that a diffuse gas could produce willow wood. In the next century Antoine Lavoisier found organic matter to be largely formed of carbon and oxygen. Joseph Priestley, Jan Ingenhousz, and Jean Senebier demonstrated that plant leaves in light take up carbon dioxide and emit equivalent amounts of oxygen. Later, Nicholas de Saussure noted that water was involved in the process. The reverse occurred in the dark—plants respired like animals, taking up oxygen and emitting carbon dioxide. J. R. Mayer observed that the process converted light energy into the chemical energy of organic carbon. Thus growth of seedlings in the dark or of roots in the soil was at the expense of this energy. Therefore, by the nineteenth century, photosynthesis, although not understood biochemically, was established as the primary and essential synthetic process in plant growth. In his experiment, van Helmont assigned no importance to the two ounces of soil lost. However, starting in the late 1700s and extending into the mid 1800s, Julius Sachs and others used chemical assays to establish that quantitatively minor soil constituents of nitrogen, potassium, phosphate, sulfur, and other elements had major importance in plant growth. The long-recognized importance of manure lay with its content of these inorganic nutrients, especially nitrogen. It was discovered these could be added to the soil as inorganic salts, such as potassium nitrate. The organic material of manure, or the residue of its decay, contributed to improved tilth, or soil structure, but did not provide nutrients. From these discoveries came the modern agricultural use of chemical fertilizers. Stephen Hales conducted pioneering experiments on the transpiration, growth, and gas exchanges of plants. What about the extensive loss of water from the soil? Van Helmont had to continuously water his willow tree with many more pounds of water than were ultimately incorporated by the tree. 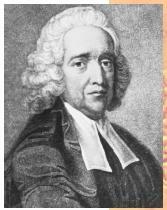 In 1727 an English clergyman and amateur physiologist, Stephen Hales, published Vegetable Staticks, an account of his pioneering studies on the transpiration, growth, and gas exchanges of plants. Hales demonstrated that water from the soil moves up the stems to the leaves where it is lost as water vapor, a process called transpiration. Subsequent research of the nineteenth and early twentieth centuries showed that the water diffuses out through stomata (singular stoma), pores in the leaf epidermis (outer layer of leaf cells). With light and adequate water the two cells bounding the stoma inflate, opening the pore to gas diffusion; under dry conditions the cells grow flaccid and the pore closes, conserving water. Capillary forces originating in the microscopic pores of the leaf mesophyll (internal green photosynthetic cells), with some contribution from osmosis , pull columns of water up the open vessels and tracheids of the xylem (wood) carrying nutrient salts from the roots. The coherence between water molecules and their adherence to cell walls prevents the taut water columns from breaking even in trees of great height. This scheme was first proposed in 1895 by Henry Dixen and John Joly. Numerous researchers in the twentieth century confirmed and refined this "cohesion-tension" theory of transportation. Hales also measured the root pressure (forced bleeding) of decapitated plants. Subsequent work showed that under conditions of good soil moisture and aeration, roots actively secrete high concentrations of salt into the root xylem creating a high osmotic pressure that forces water up the stem and out pores at the tips of leaves (guttation). In 1926, E. Munch proposed a similar mechanism for translocation , the movement of sugars from leaves to roots and other plant parts. This mechanism is known as the pressureflow model. By the twentieth century, plant physiologists increasingly turned to chemistry and physics for assistance with fundamental questions. They also established their own societies with journals to publish their findings, which had a catalytic effect in increasing the level and amount of research. A great deal of the fundamental biochemistry of cell growth and function, known from the more extensive medical, animal, and microbiological research, was found to apply to plant cells. Anatomical studies gave structural details to support physiological findings, and submicroscopic cell structure was revealed by the electron microscope. All the mineral nutrients required for plant growth were established. The key to their selective uptake from the soil and transport into the root xylem proved to lie with an energy-requiring proton (hydrogen ion ) pumping mechanism in the cell membranes. Environmental, hormonal, and genetic controls on growth and development have been extensively explored, but there is still more to learn. Ethylene, a simple two-carbon gas generated by plants initiates fruit ripening and regulates aspects of seed germination. Phototropisms (bending in response to unilateral light, investigated by Charles Darwin), and geotropisms (root growth down, stem growth up) were found to be due to displacement of a cell growth hormone , or auxin. In some circumstances, auxins could also elicit cell division (root formation in stem cuttings). Other hormones, the gibberellins, regulate cell division at the stem apex and activate enzyme formation in seed germination. Attempts to culture plant tissues led to discovery of more cell division hormones, the cytokinins. Another type of hormone, abscisic acid, initiates the senescence and abscission of leaves in the fall, and causes the stomata to close under water stress. Additional growth regulating compounds are being found and investigated but a coordinated picture of hormone interaction is lacking. Photoperiodism, the regulation of flowering by day length was discovered. Sleep movements, such as the drooping of bean leaves in the evening, were found to be controlled by a biological "clock," a circadian rhythm, not by the onset of darkness. In 1952, phytochrome was discovered and found to be the pigment at the center of photoperiodism. In recent years there has been a major shift to molecular genetics in attempts to locate the genes responsible for physiological processes. In photosynthesis chlorophyll structure was determined and localized in the internal membranes of the chloroplasts of the mesophyll cells. Red and blue portions of the light spectrum were found effective, leading to the discovery that two light reactions are required. In the 1930s, C. B. van Neil used radioactive water to show that water, not carbon dioxide, was the source of oxygen released during photosynthesis. Sugar was found to be synthesized in the stroma (fluid part) of the chloroplast, and the molecular details of its creation were worked out by Melvin Calvin and Andrew Benson. All plant cells were found to respire, an energy-yielding process essentially the same as that in animals, involving another membranous organelle , the mitochondrion, and yielding metabolic energy available for transport reactions and synthesis of cell substance. The formation of fats and oils from carbohydrates was found to be similar to that in animals, but plants had the added ability to transform oils in germinating seeds into carbohydrates such as the glucose used in cellulose wall formation. The symbiotic relationships of plants and microorganisms was explored, notably in the cases of reduced nitrogen formation from atmospheric nitrogen by nodule bacteria. At the end of twentieth century, the small mustard plant Arabidopsis thaliana took center stage in the attempt of scientists to understand plant genomes . The full sequence of this genome was elucidated in 2000 by an international consortium of plant geneticists. Dennis, D. T., and D. H. Turpin. Plant Physiology, Biochemistry and Molecular Biology . Harlow, Essex, UK: Longman Group, 1990. Salisbury, F. B., and C. W. Ross. Plant Physiology, 3rd ed. Belmont, CA: Wadsworth Publishing, 1985. Taiz Lincoln, and Eduardo Zeiger. Plant Physiology, 2nd ed. Sunderland, MA: Sinauer Associates, 1998.